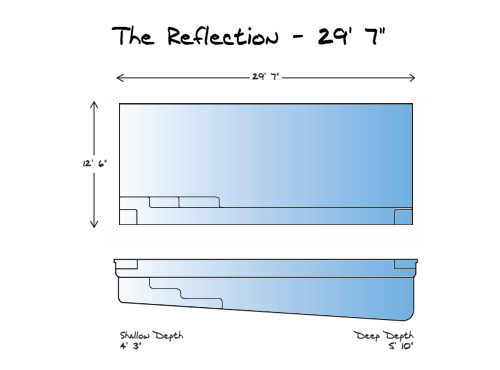 The Reflection model pool from Leisure Pools is a modern designed rectangle shaped fiberglass pool. With a wide open swim lane this pool has a great area for those looking to exercise or swim laps. One side of the pool has a stylish full length bench for the whole family to sit back and relax. 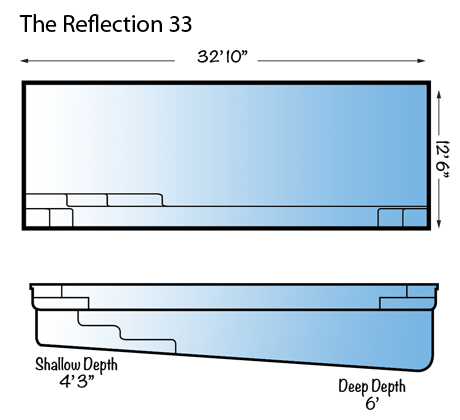 The Reflection pool is a perfect pool for families looking for a true rectangle shaped pool, but who don’t necessarily want or need a larger sized pool. The Reflection is available in lengths of 23′, 26′ 3″, 29′ 7″, and 32′ 10″ so it is a great option for anyone looking for a small to medium sized rectangle pool. 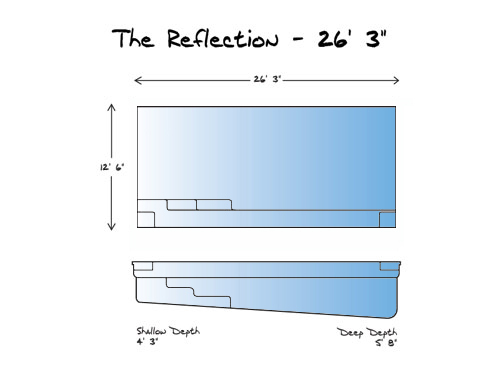 Being a perfect rectangle all 4 models of the Reflection pool will allow for the installation of an undermount recessed automatic pool cover. The Reflection pool is built in Illinois by Signature Pools.